At the end of 2013, I discovered Katherine Reay's Dear Mr. Knightley. It's a beautiful novel that I read in one evening because it was so "unputdownable." I still haven't read her follow-up, Lizzy and Jane, but I was thrilled to get my hands on The Brontë Plot last year. Turns out my expectations were a bit too high, based on my complete adoration for Dear Mr. Knightley, and I walked away from The Brontë Plot a bit disappointed, even though it's a solid book. While I expected to enjoy A Portrait of Emily Price, Reay's latest novel, I went into it with much lower expectations ... and I found myself blown away by this beautiful, touching novel. Art restorer Emily Price has never encountered anything she can’t fix—until she meets Ben, an Italian chef, who seems just right. When Emily follows Ben home to Italy, she learns that his family, however, is another matter . 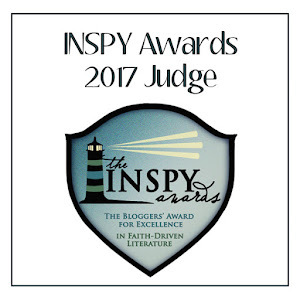 . .
Emily Price—fix-it girl extraordinaire and would-be artist—finds herself in Atlanta, repairing objects damaged in a house fire. As she works to restore the home and dreams of one family, she strives to keep the pieces of her own life in perfect order and secure her own happy ending—a gallery show of her own. There is no time for distractions, especially not the ultimate distraction of falling in love. But Chef Benito Vassallo’s relentless pursuit proves hard to resist. Visiting from Italy, Ben works to reconnect with his brother and breathe new life into his aunt and uncle’s faded restaurant, Piccolo. And soon after their first meeting, he works to win Emily as well—inviting her into his world and into his heart. Emily astonishes everyone when she accepts Ben’s proposal and follows him home. Upon landing in Rome, she is enchanted with Italy. But instead of allowing the land, culture and people to transform her, Emily imposes her will upon everyone and everything around her, alienating Ben’s tightly knit family. Only Ben’s father, Lucio, gives Emily the understanding she needs to lay down her guard. Soon, Emily’s life and art begin to blossom, and Italy’s beauty and rhythm take hold of her spirit. 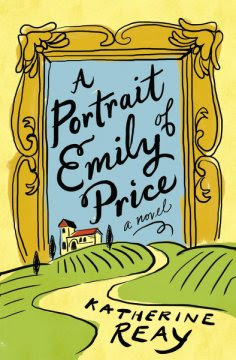 A Portrait of Emily Price really feels like two distinct novels. The first part takes place in Atlanta, where Emily and Ben meet, fall in love, and marry. It's basically a Hallmark movie. The second part takes place in Italy, and it's all about what happens after ... after the wedding, after the presumed "happily ever after," after Emily realizes her life has just changed forever. Ben's father, Lucio, is a wonderful (and flawed) character, and I found myself eagerly anticipating his interactions with Emily. I loved how he used literature to nudge Emily in the direction he thought she should go—as a former English major (albeit a bad one who used SparkNotes for everything), I enjoy finding references to classic literature in the decidedly non-classic, fun books I read now! I also loved the rest of Ben's family. They struck me as real with their varying reactions to Ben and Emily's marriage, their secrets, and their devotion to one another. Watching Emily try to fit in with them was kind of painful, but her struggles felt realistic. Though I do wish that Emily's own family had factored into the novel more—especially her parents, who obviously had a great impact on Emily's character but who are basically nonexistent in the novel—I thoroughly enjoyed the novel, and I look forward to Reay's next book. 4-1/2 stars. Read my reviews of Dear Mr. Knightley (5 stars) and The Brontë Plot (4 stars). Disclosure of Material Connection: I received this book free from the publisher through the BookLook blogger program and The Fiction Guild. I was not required to write a positive review. The opinions I have expressed are my own. Also, some of the links in the post above are “affiliate links.” This means if you click on the link and purchase an item, I will receive an affiliate commission. I am disclosing this in accordance with the Federal Trade Commission's 16 CFR, Part 255: "Guides Concerning the Use of Endorsements and Testimonials in Advertising."